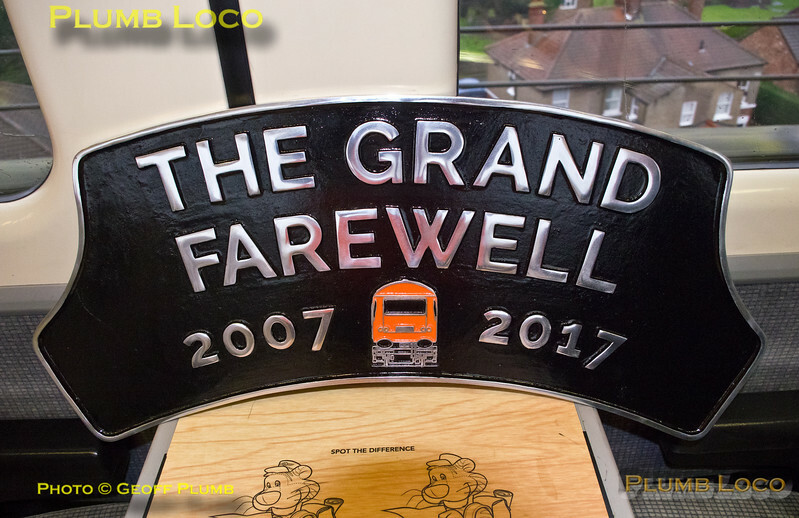 One of the specially-made headboards for the BLS "Grand Farewell" tour, one of which was auctioned to raise funds for the sponsored charities, the Railway Children, the Railway Benefit Fund and the 125 Group. Photo taken as the tour train crosses Yarm Viaduct at 09:49 on Sunday 17th December 2017. Digital Image No. IGMP33389.